Claire Worboys’ performance as Vesta Tilley will both delight and enchant, while also providing a historically accurate insight into her life and times. 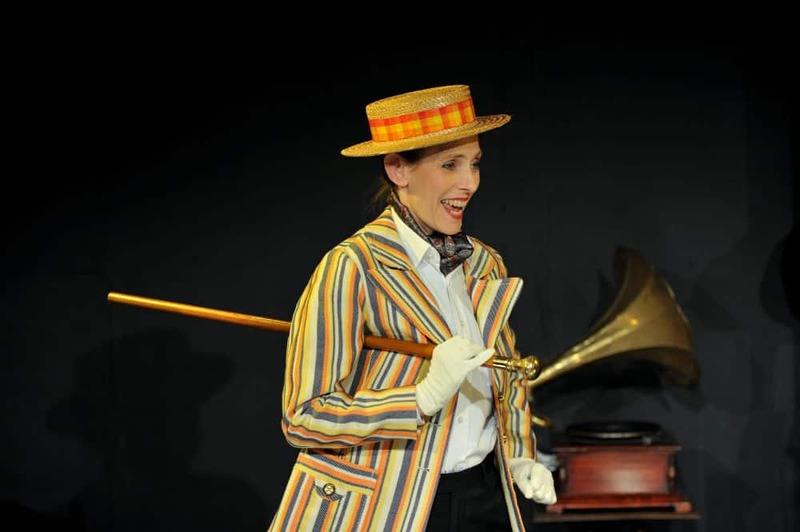 Vesta – Worcester’s Wonder of the Music Halls: a one-woman show about the life and music of Vesta Tilley, one of the greatest music hall stars this country has ever produced. Vesta Tilley is one of the most remarkable female entertainers to have ever lived. Born in Worcester in 1864, she became an international superstar, equally famous on both sides of the Atlantic. She always appeared on stage dressed as a man, although, ironically, she did a great deal to further the cause of women’s emancipation. When she retired, nearly two million people signed the ‘People’s Tribute to Vesta Tilley’. She was one of the most beloved performers ever, taken to the very hearts of British people.